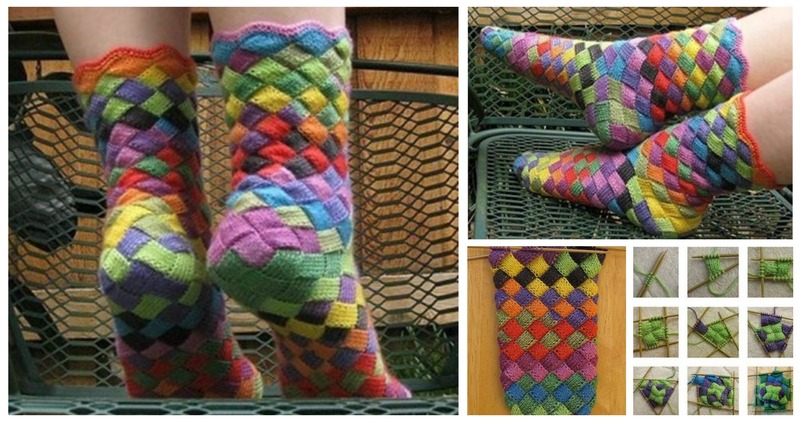 Here We have wonderful and Comfortable socks and pattern with pictures and video tutorial. If you have yarn and needles you have everything to knit these beautiful socks. In winter it’s one of the most important with warm clothing you need to wear warm socks. If you have children you always want to protect them from frost, These socks are really perfect for you, because your children will like the colors and creative design and also it’s very warm. Feel free to make as gift or make as decoration. With this stitch you can also knit many attractive items if you have some free time. Hope you will enjoy and will be proud with results. Good luck and thanks to author.